You don’t need to be deprived of water to know how much you miss your home’s water supply. Here are some ways you can know that you need to call a plumber. A slow drain is incredibly frustrating. However, when you find one, it means that there’s a clog in the line somewhere. Over time, that clog will only get worse. The longer you wait to fix it, the worse it will be, and the harder it will be to fix it, too. 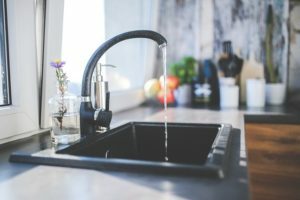 While there are some easy home fixes for slow drains, if nothing has changed even after multiple attempts, then you should call a plumber for help. Stable water pressure is wonderful, as everyone who needs a hot shower after a long day knows so well. Along with water pressure, you’ll want to be sure that the water doesn’t change temperature unexpectedly while you’re using it. If you keep running into these problems, then you’ve got another reason to call a plumber. Lastly, the final problem could be that something is wrong with your water. However, just because your water is contaminated, it doesn’t mean that it will be immediately evident. If your water is brown or green, then it could be a sign of too much iron or copper in the water, or dirt from construction down the street. If the water smells strange, then it could also indicate that sewage has entered your water supply and you’re not aware of it yet. These are also signs that it’s time to call a plumber. This entry was posted on Friday, January 18th, 2019 at 8:59 am. Both comments and pings are currently closed.